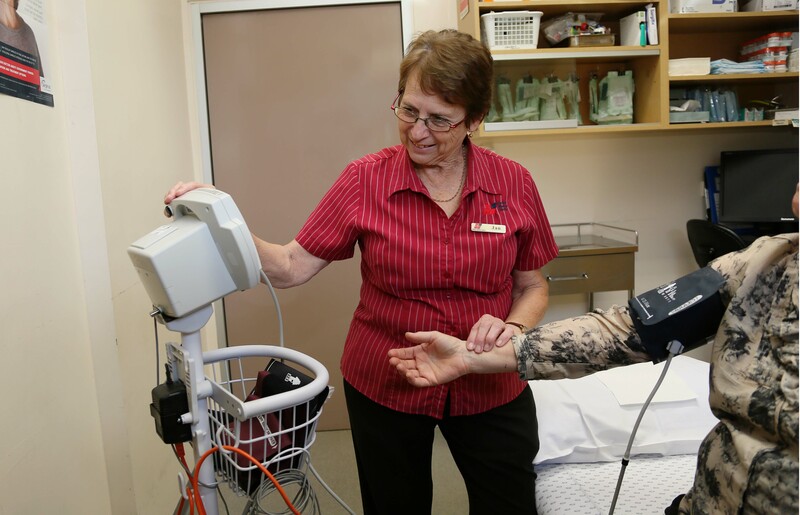 Stawell Medical Centre has been providing quality medical care to the people of Stawell and District for over 50 years. Our goal is to provide easy access to services that meets the medical needs of our patients. 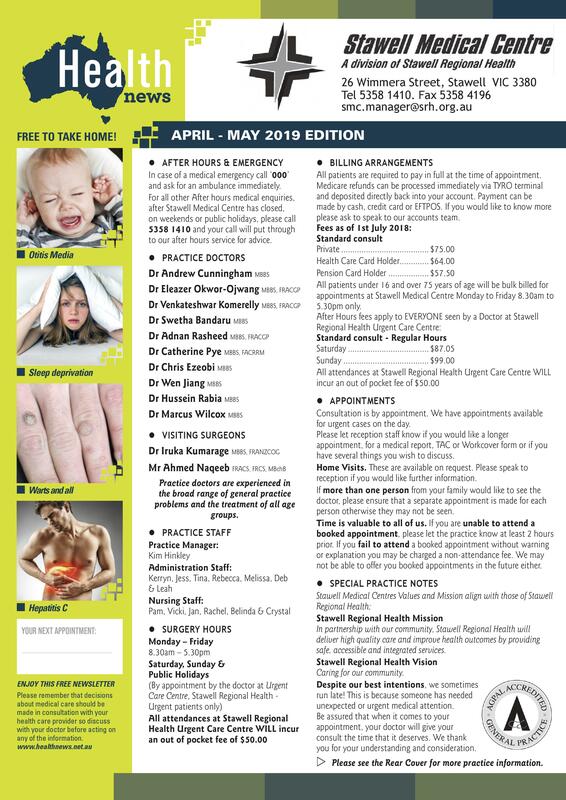 Stawell Regional Health Urgent Care Centre. There are a wide range of times available for appointments, please phone the Stawell Medical Centre Reception to book a suitable time. If you need a longer appointment please request this at the time of booking. Calls to your doctor will be returned as soon as possible, often at the end of the day. The Stawell Medical Centre is an AGPAL accredited and computerised general practice. It has well-equipped consulting rooms and treatment rooms where services such as lesion removal, INRs, ECGs and spirometry and other minor procedures are performed. Doctors are well supported by a Practice Manager, Practice Nurses and an administrative team. The Centre is proud to be an RACGP accredited teaching practice and continues to contribute to the medical workforce providing supervision and training to medical and clinical staff through formal and informal training opportunities. Doctors from the practice have Visiting Medical Officer admitting rights to the acute services of Stawell Hospital with a long history of collaboration in providing quality health care to the community. 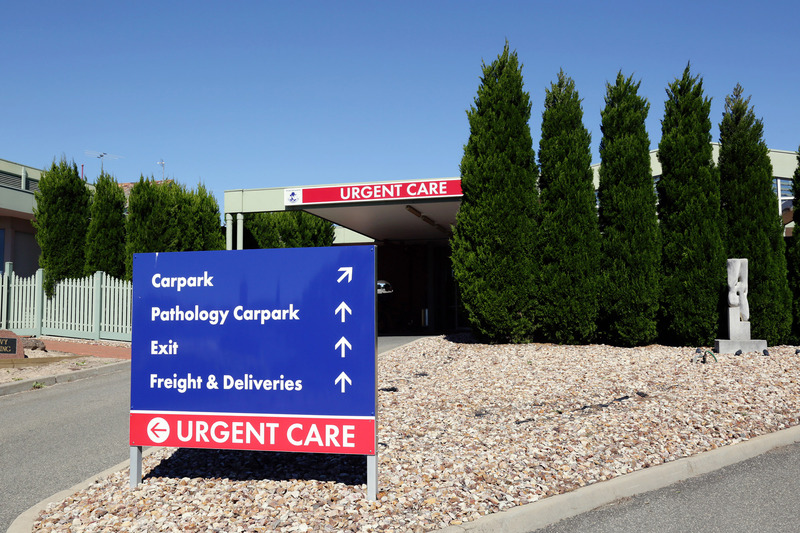 Stawell Medical Centre provides after hours services through the Urgent Care Centre at the Stawell Hospital. An experienced Registered Nurse will triage a patient who presents to the Urgent Care Centre and, when required, will telephone the doctor on call for advice or to request the doctor attend in person to assess the patient. This service is not government funded. To partially cover the costs of this excellent service, there is an out of pocket fee of $50 which needs to be paid by everyone who sees a doctor.